Please contact me regarding the 2006 Ford F650 with 88k. Miles - Stock# 7771 for sale at TruckerToTrucker.com. Take a look at this 2006 Ford F650 with 88k. Miles. It is Stock# 7771 at TruckerToTrucker.com. 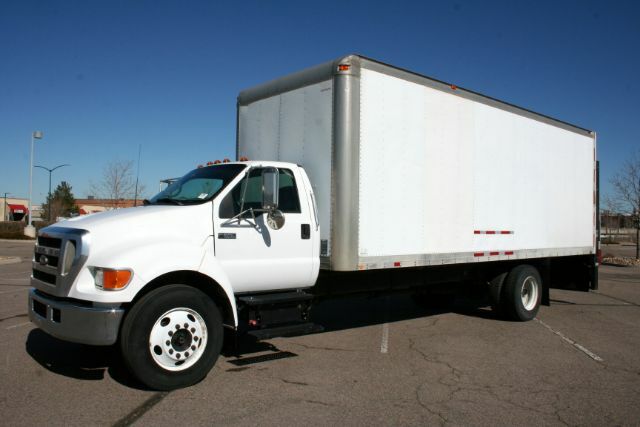 2006 FORD F650 BOX TRUCK FOR SALE. 24ft. Morgan Aluminum Box, 98" Interior Height, 4500lb. Waltco Power Lift Gate. 5ft. depth with Ramp. Cat C7 Diesel. Pre-Emissions. No DPF or DEF required. Allison 2500 5spd. Automatic with Overdrive, 26,000lb GVWR. N0 CDL REQUIRED. 260" Wheelbase. A/C, Tilt Steering, Cruise Control, Tinted Glass, ABS Brakes, Seats 3, AM/FM, Variable Intermittent Wipers, AM/FM and More. A SUPER CLEAN ONE OWNER TRUCK WITH 88K. MILES. NO CORROSION, VERY WELL MAINTAINED. CLEAN CARFAX REPORT WITH NO ACCIDENTS. A RUST FREE TEXAS TRUCK. FULLY SERVICED AND INSPECTED. CALL MATT KRAUS AT: 303-263-1846. MJK TRUCKS LLC. 20 YEARS AND OVER 5,000 SATISFIED CUSTOMERS.